Early next year I enter my biggest endurance event ever - the reason why this factors in to IADW is the fact that this week my trainer decided to move my programme from third gear to overdrive, and go from being a taskmaster to all-out sadist! A little sore but lovin' the fact the big day is another stage closer, I have a whole new appreciation for 'free time' and the fact that you unwind right here on my little blog. The latest two to click 'follow' are David Chung and Marc Lamming - let's meet them! 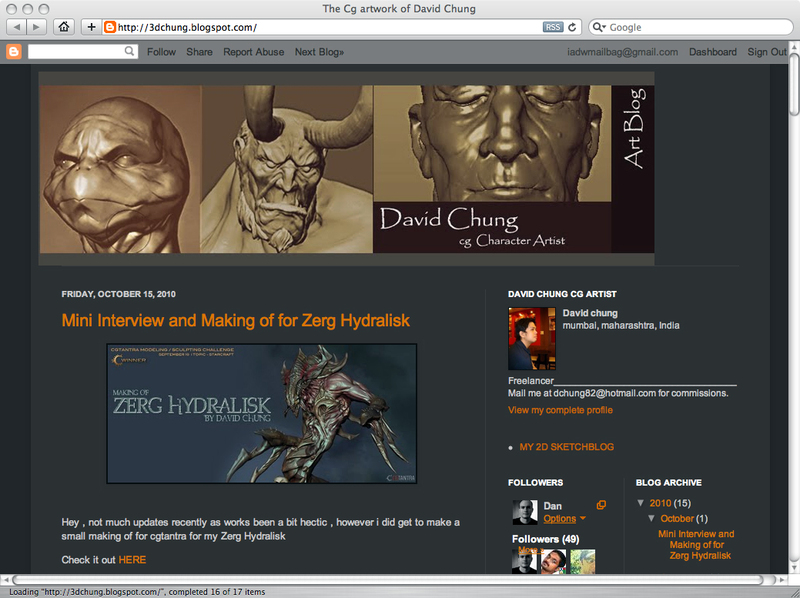 David Chung is a 3D computer artist who hails all the way from India! 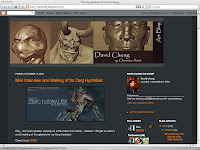 Scope out his work and its press over at his blog; The CG Artwork of David Chung. Marc Lamming is a massive illustration fan and fellow-follower of one of my favourite artistic haunts: ComicTWART! Welcome to IADW David and Marc - glad to have you aboard! Keep up the good work here, always a pleasure to visit and check up on stuff . No worries David thanks for the support!